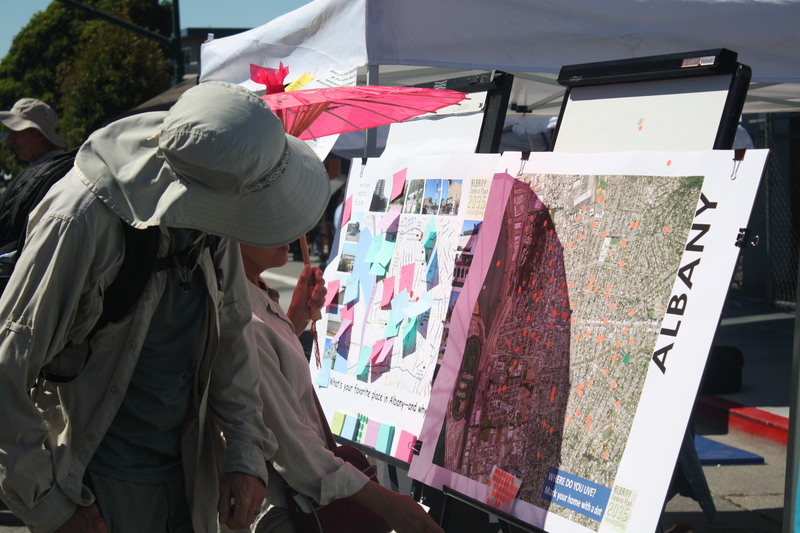 This year’s annual Solano Stroll featured a General Plan Exhibit, with information about the Plan and an interactive map display. On a beautiful warm September Sunday, participants were invited to find their homes on a large-size aerial photo of the City and respond to two simple questions. The first question asked participants to indicate what they liked most about the city, and the second asked what they’d most like to see changed in the next 20 years. Dozens of residents participated. 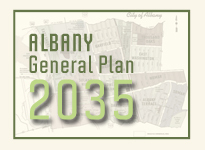 If you missed your chance, please visit albanyspeaks.org, where you can respond to the same questions.